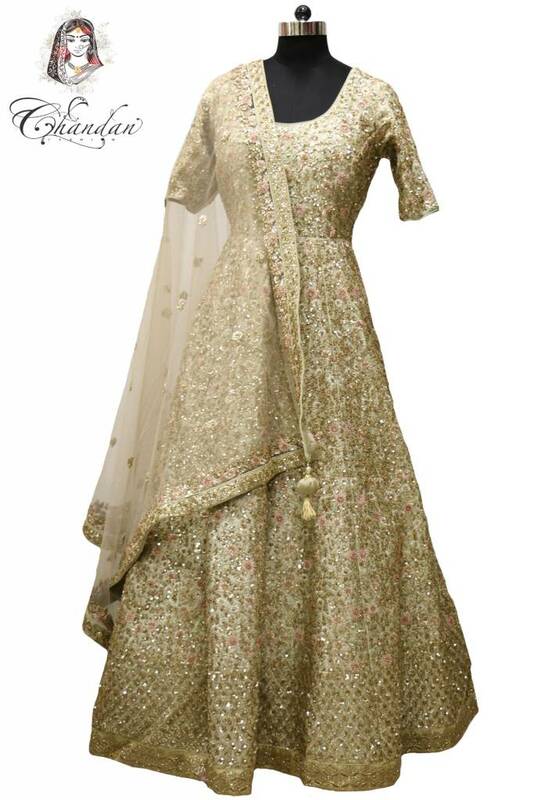 Wed good in this extravagant pista bridal gown. 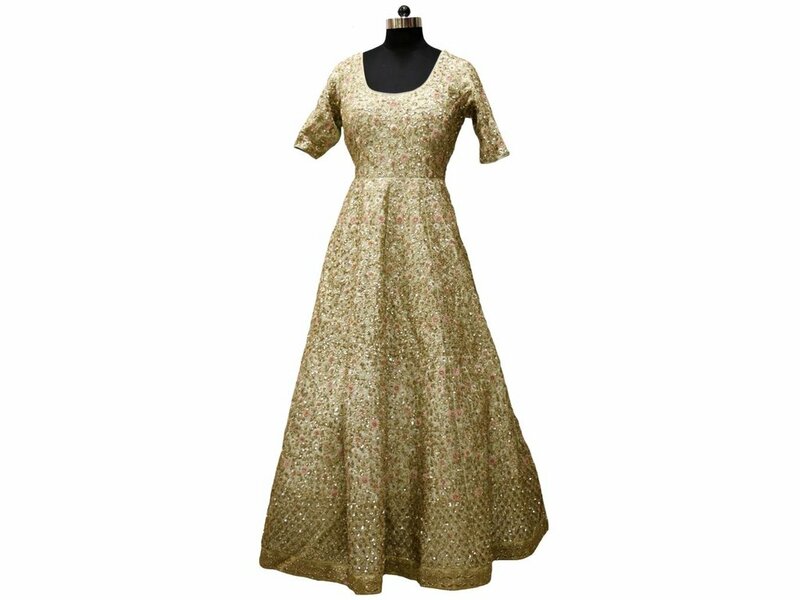 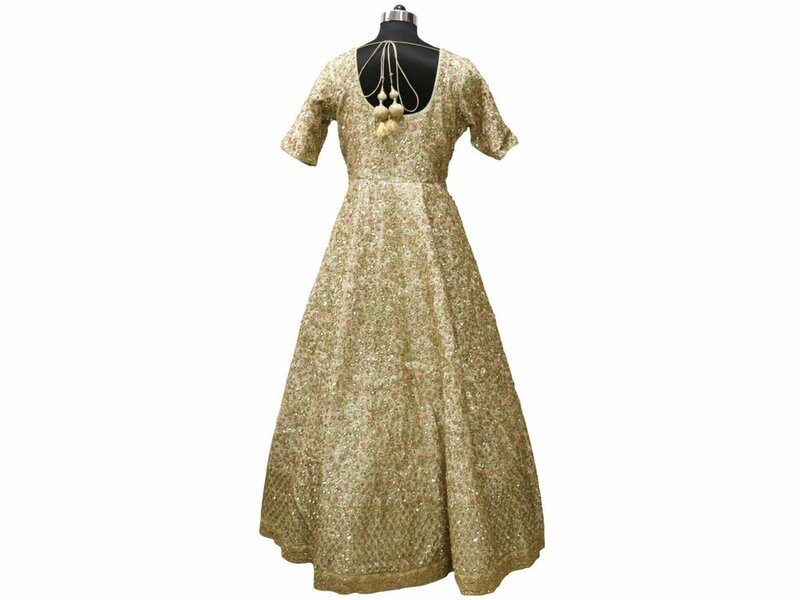 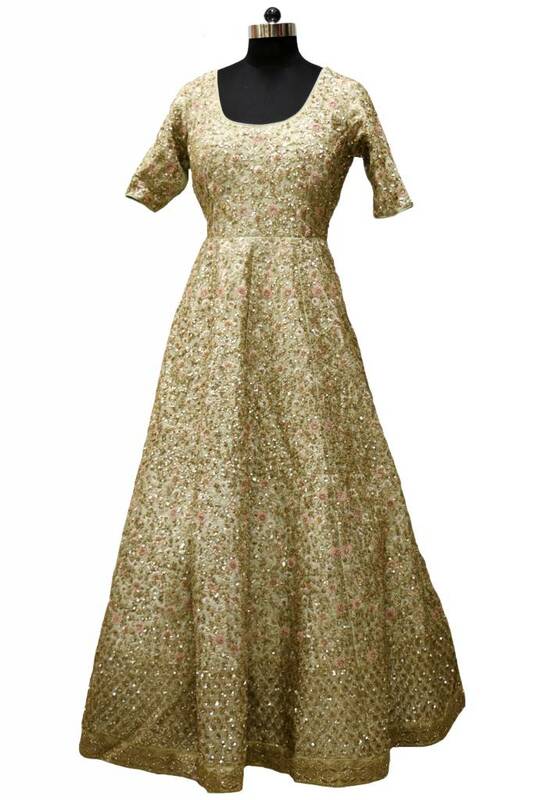 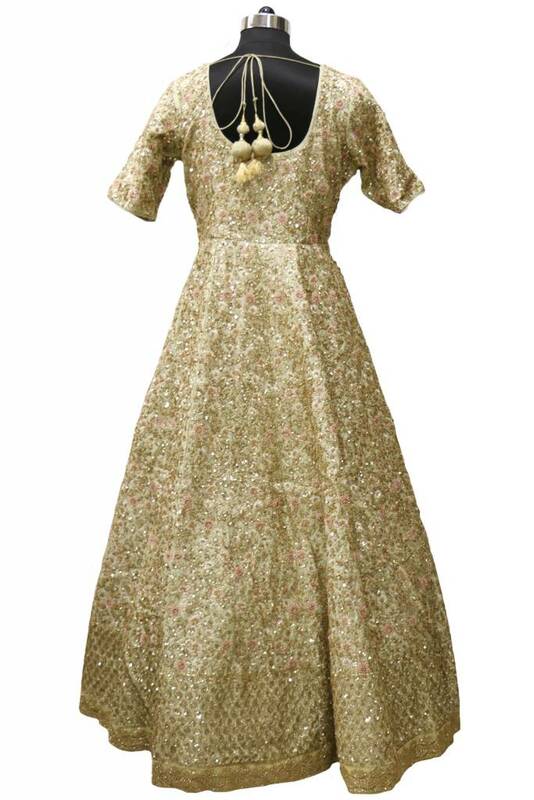 The outfit has pretty graceful baby pink flowers with golden work all over the gown. 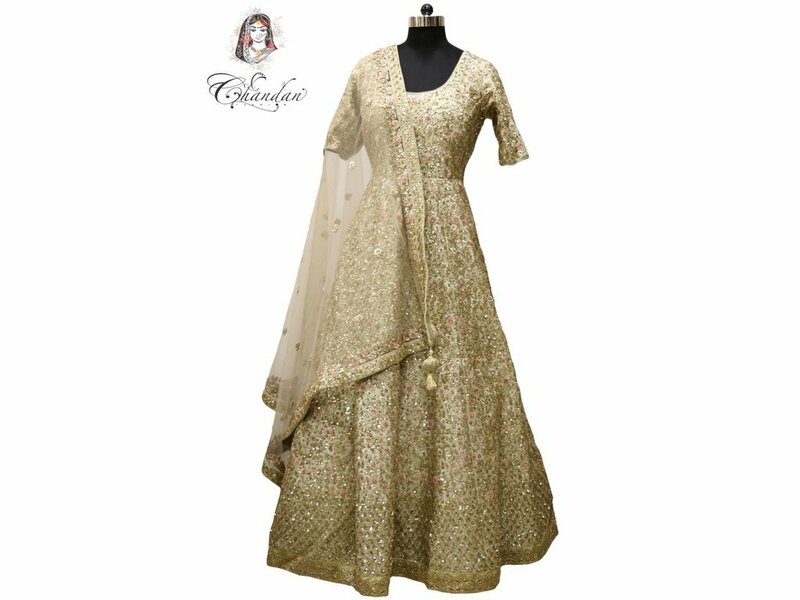 The dupatta adds more grace to the outfit as it’s simple with little border accompanied by similar flowers on gown.